The Minnesota Vikings stadium situation is getting more serious by the day and Los Angeles still appears to be a player in the grand scheme of things. In what seemed to be doom for the Vikings to get a new stadium in Minneapolis, the NFL commish Roger Goodell paid a visit to the state capitol to try and jump start failed negotiations. Apparently, it may have had some effect as on Friday by a narrow vote, a Minnesota Senate committee approved a public subsidy to try and help the Vikings get a new stadium built. The hearing lasted nearly four hours and resulted in a 8-6 vote in favor of the subsidy. It is hope, but still dim hope, as the Minnesota state legislature is in the waning days of its session and a similar bill was defeated in a house committee just days ago. The Vikings will play the upcoming season at the Metrodome, however their lease there has expired. This of course has led to speculation that the Vikings could be snatched up by a city looking for a team, like Los Angeles. Roger Goodell did little to deter that kind of thinking. He basically said, either Minnesota agrees to help build a new stadium or the Vikings will be finding a home somewhere else possibly. The new Senate bill will have to go through several more committees to get to a floor vote. With its narrow passage in the Senate committee, it might face even stiffer opposition as it goes on through committee after committee. The fans of the Vikings may be watching the last days of their team play out in the coming season…at least in Minnesota. It was reported by the LA Times that in the meetings with Goodell the subject of a move to Los Angeles was brought up. It was reported that LA would like a team and that the NFL would like to see it NOT be the Vikings. 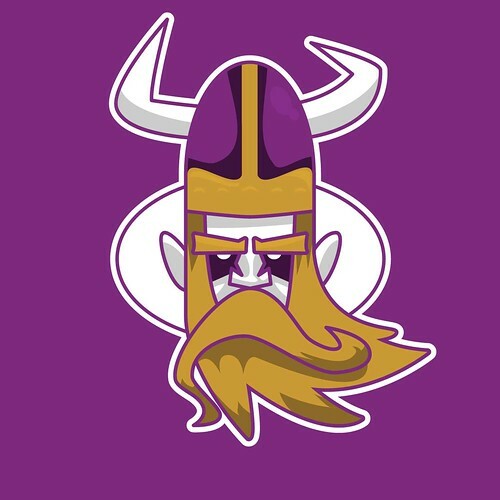 However, no one seemed to say that it definitely would NOT be the Vikings. I would think that if no stadium bill comes about it will like BE the Vikings. There are people in Minnesota, both government and fans that the Vikings would never leave the state. That’s just naive. The NFL is a business, not a game or a team. The business of the NFL says that the Vikings have to have a new stadium. If the state and people of Minnesota are not willing to help that happen then you can be assured that someone else will and the NFL will see to it that they do. It could be in just another year that you will read the following, coming to a stadium near you, the Vikings of Los Angeles.